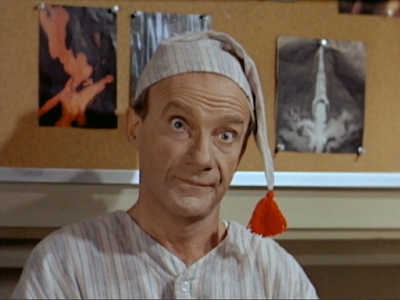 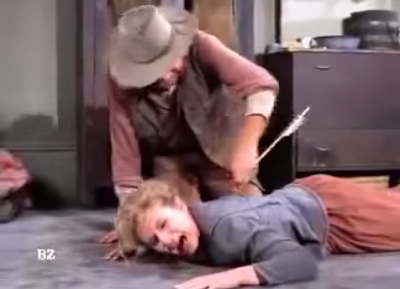 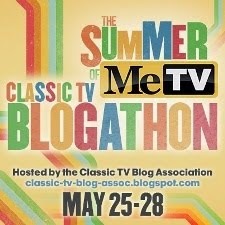 The Flaming Nose TV Blog is proud to participate in the Summer of MeTV Classic TV Blogathon. 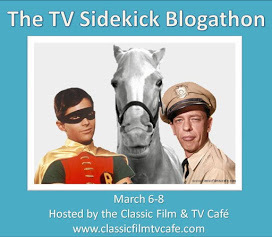 Be sure to check out the whole line-up at the home of the Classic TV Blog Association! Her voice is a "mathematical progression" according to the Robot and Dr. Smith is "terribly flattered" by her attentions. 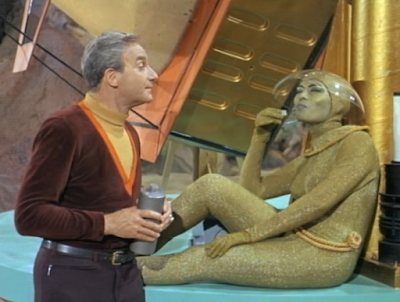 We're talking of course about Athena, the tantalizing extraterrestrial -- or might she be better described as "sextraterrestrial"? 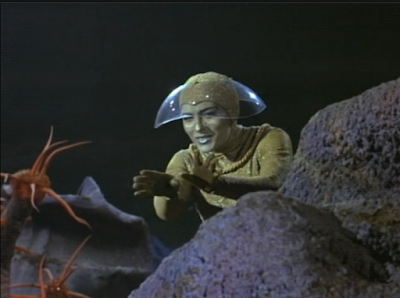 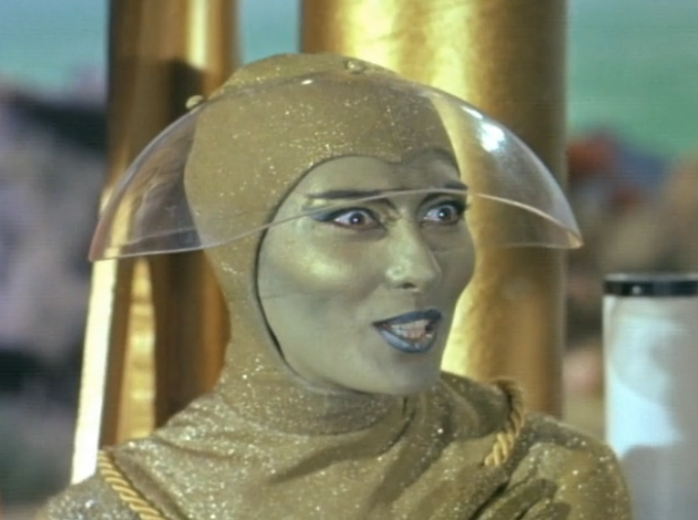 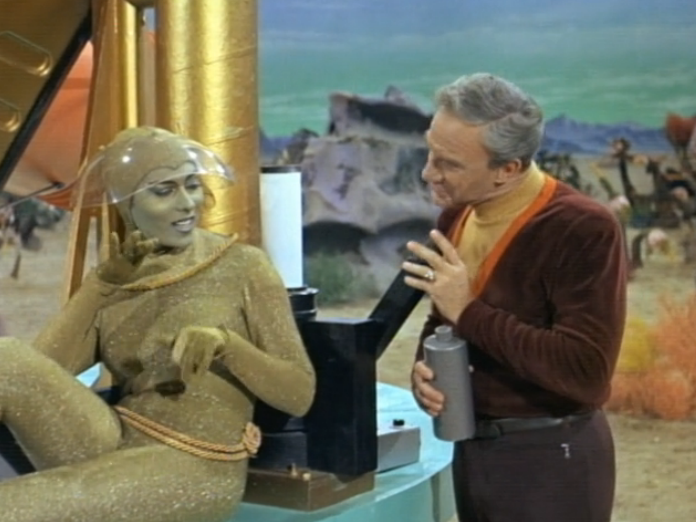 -- temptress who is introduced floating outside the Jupiter Two in the second season episode "Wild Adventure" on Irwin Allen's fabulous science fiction adventure series Lost in Space. 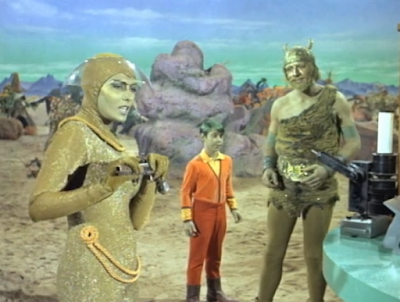 September 21, 1966 was the exact date of the pop culture debut of one of the most hilariously haunting characters from that show, a series filled with flamboyantly memorable characters writ large from producer Allen's vivid imagination, a stew where carrot men, space chimps, outer space Don Quixotes and the like merrily co-existed with but one mission -- pure audience entertainment. 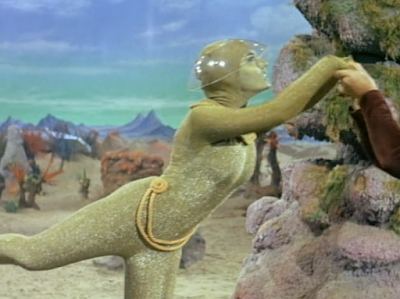 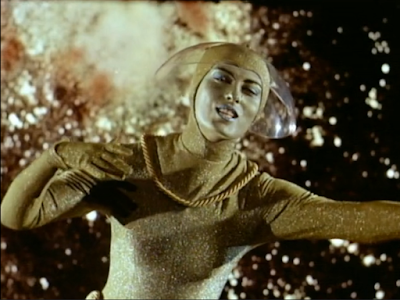 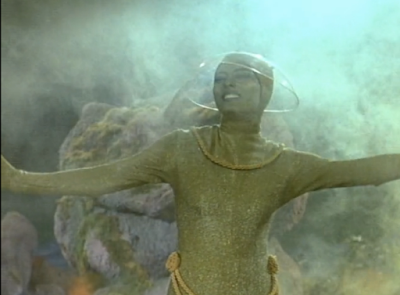 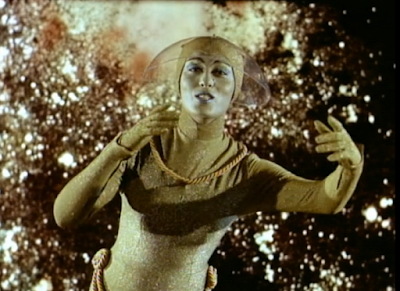 From the first moment when our space Lorelei appears to Dr. Smith (as always played to feckless perfection by Jonathan Harris) on the Jupiter 2 viewscreen to the final moment -- at the end of the second episode to feature the very popular Athena character -- when Smith looks into the telescope and receives a farewell kiss from the Green Dimension, this space babe became TV legend. 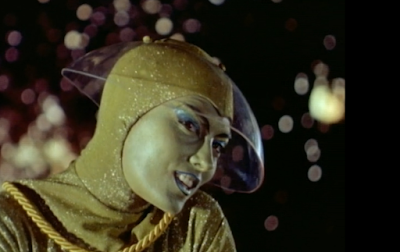 Played by the alluring, extremely beautiful and undeniably exotic-looking (but Brooklyn-born) actress Vitina Marcus, Athena was unique, unusual, and unlike anything else audiences had ever experienced. 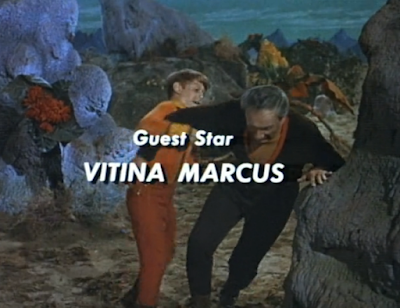 Marcus, a talented dancer as well as actress, had appeared on television and movie screens including a role in Irwin Allen's big screen version of The Lost World. Allen brought her in to originate the guest role of Athena the Green Girl in "Wild Adventure" -- the character named after Vitina's own young daughter -- and the rest is TV history. The response was so positive after her first appearance that Allen brought her back in "The Girl from the Green Dimension" later that same season. Not only was Green Girl Athena mesmerizing for her special-hued looks but also for her captivating, sing-song musical vocal murmurings, especially so in the first episode. She is nearly wordless in "Wild Adventure" yet manages expertly to get her point across via melodic cooings that not only entice Dr. Smith to near-mutiny but also draw the audience into her alien existence. 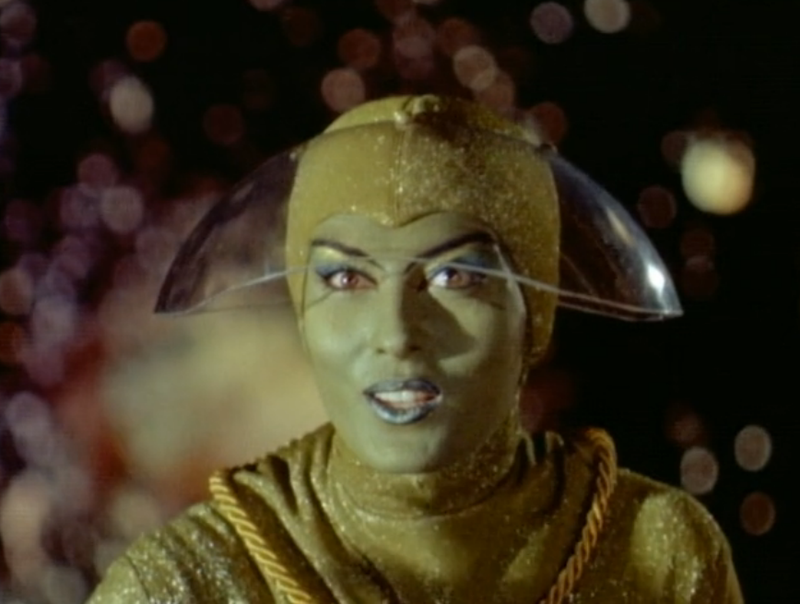 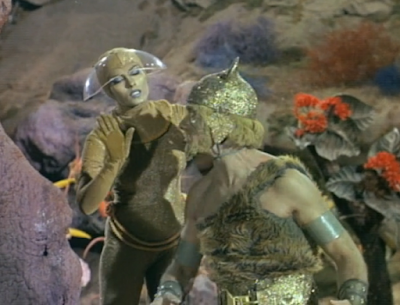 Her second appearance in "The Girl from the Green Dimension" puts her mostly on solid ground as she follows Smith and the Jupiter 2 to a planet where they are mining a substance precious to folks of her kind. 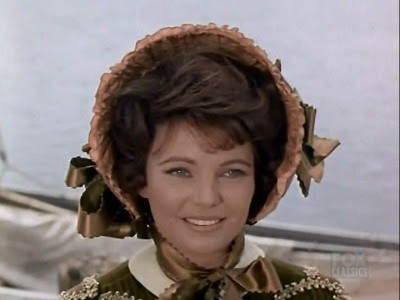 Here she communicates in a pidgin English dialect including the portentous phrase "Athena know much...many...everything" and of course the famous words she uses to describe the object of her affection, the unforgettable phrase "Handsome...pretty...handsome Dr. 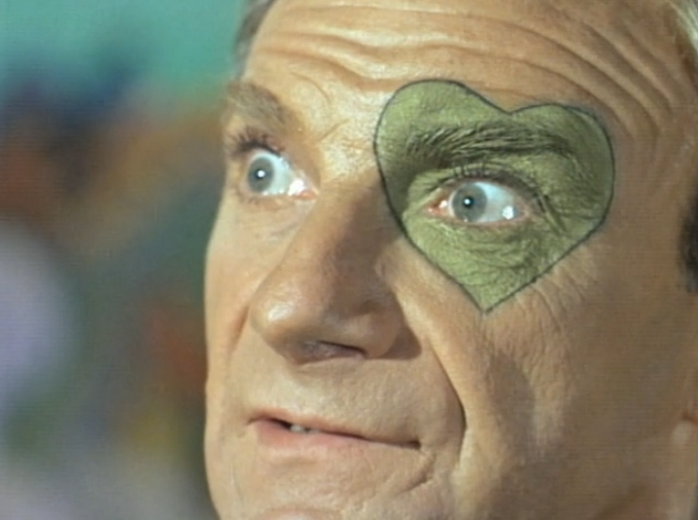 Smith." It's a great credit to Vitina Marcus' ability and her own personality that Athena is so incredibly likable and a thoroughly charming though totally mysterious female. 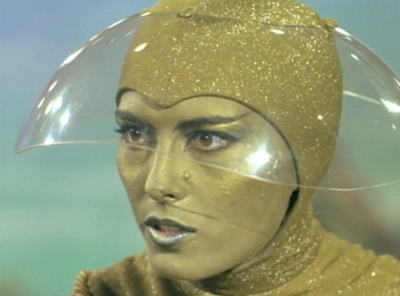 Her first episode is rather serious territory -- the Jupiter 2 is thrown off-course and loses a chance to return to Earth because of her interference. Her targeting of Dr. Smith is brilliant and he's a complete sucker for her hypnotic flattery. 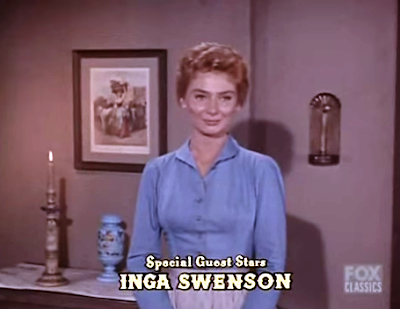 When she reappears in her second episode, it's actually a genuine bedroom farce, with Athena declaring her love for the brave (she thinks) and handsome Smith (she also thinks, though there is some great dialogue when she is ascertaining that he is indeed not "a girl") and setting him up to do battle with an old boyfriend, the green and scary Urso, who has followed her to win her affections back. 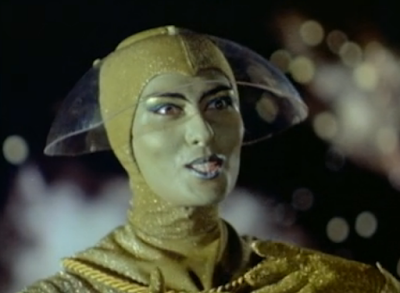 Screams, chases, Will gets turned Green and other improbable though entertaining twists abound, and all through it Athena is friendly, delightful, flirtatious and entirely winning. Were Dr. Smith able to fall for anyone except himself she could have been a lot of fun. 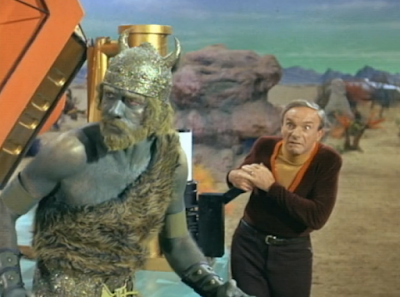 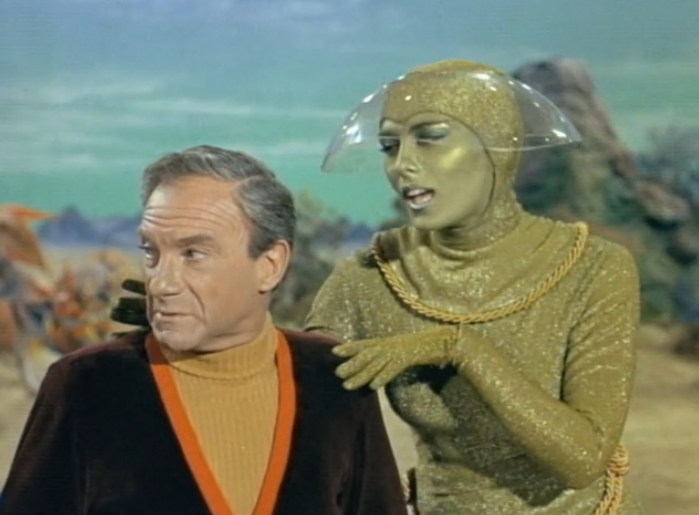 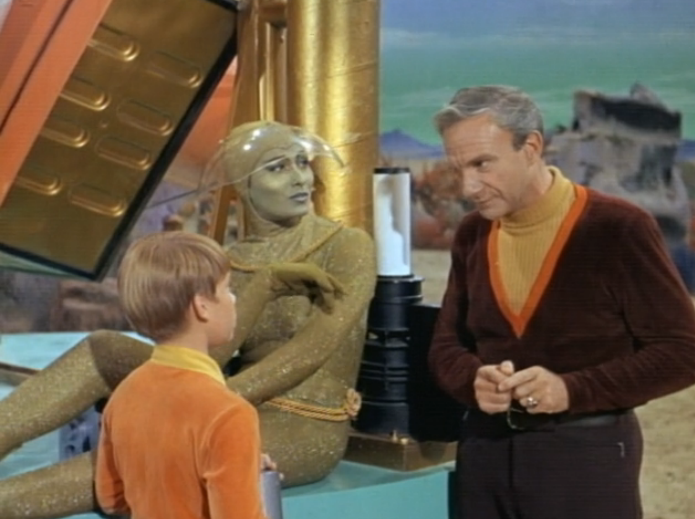 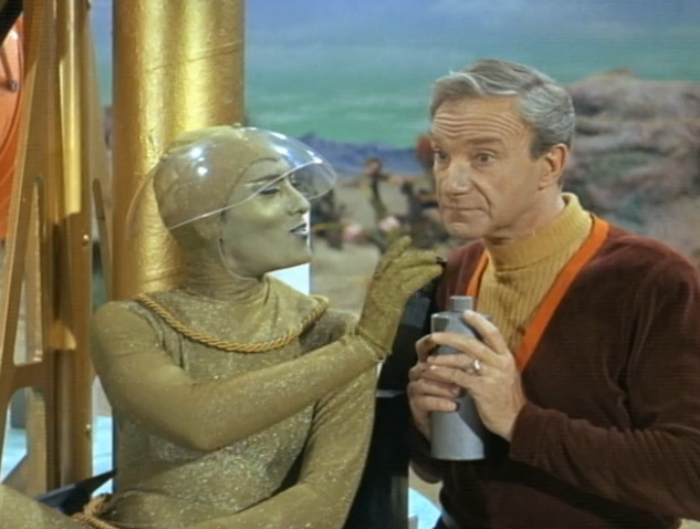 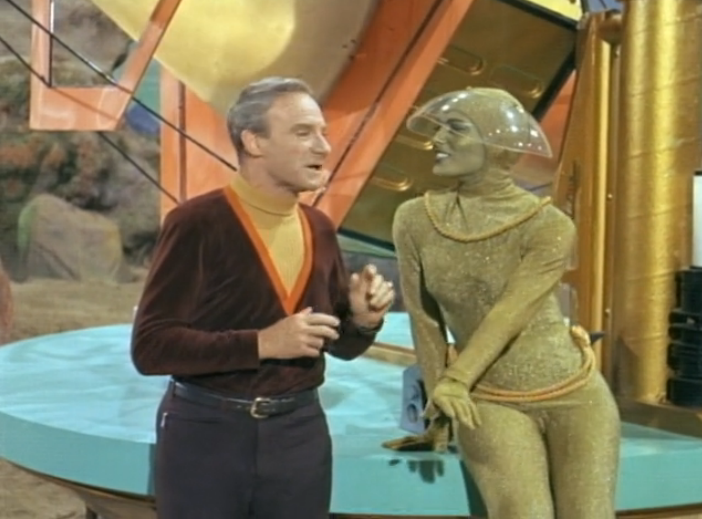 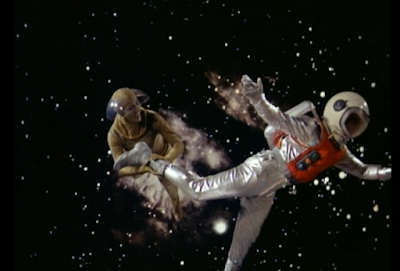 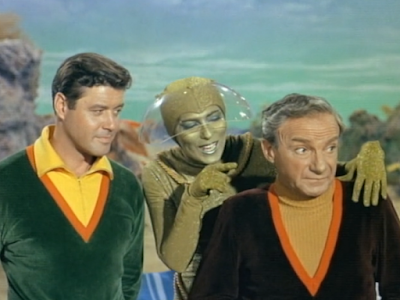 I will take this opportunity to tell my one interesting Lost in Space story. 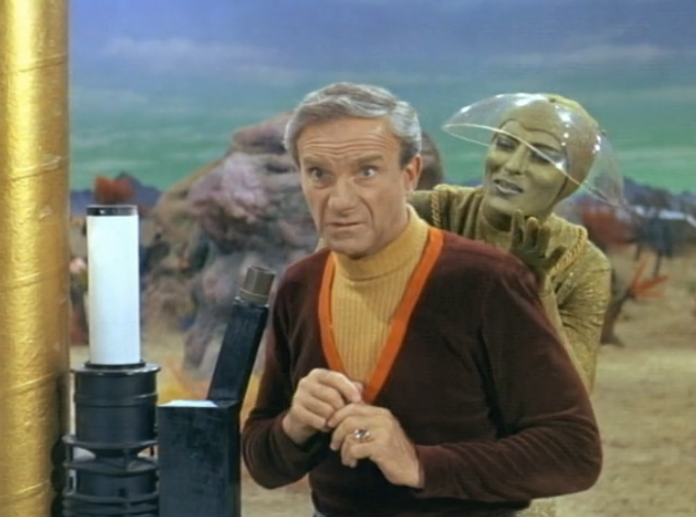 When I was in Programming for Los Angeles independent channel KTLA back around 1980, I was pushing for adding Lost in Space to our line-up because of its inherent pop culture status -- perhaps not as cemented then as now but I know a legend when I see one -- and we began running it on Saturday and Sunday afternoons to solid ratings. We had asked our 20th Century Fox sales rep if the Robot were still around and perhaps available for us to use in a promo or for display at the station. 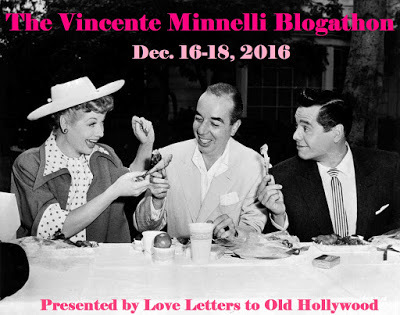 He arranged for my colleague Dave and I to go to the Fox lot and look for it. 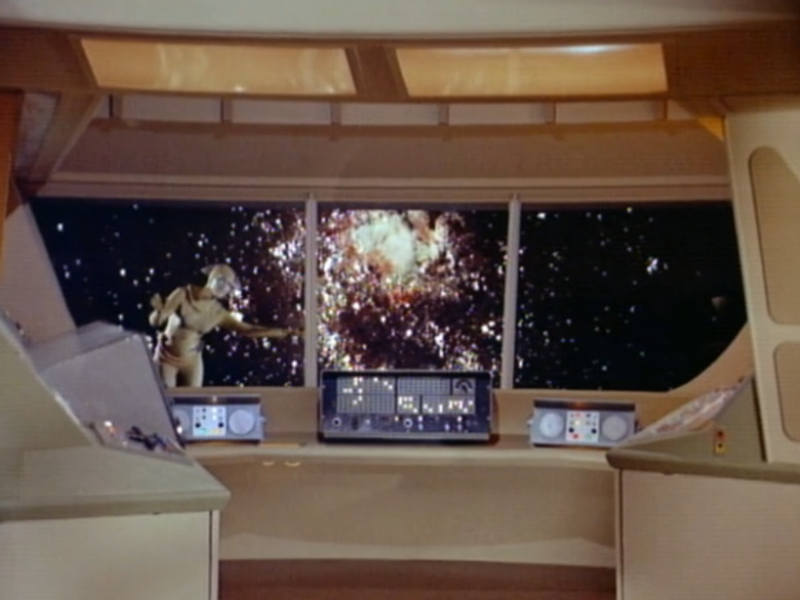 We did and were shown to a disassembled Robot in a big box, not only taken apart but also painted pink. 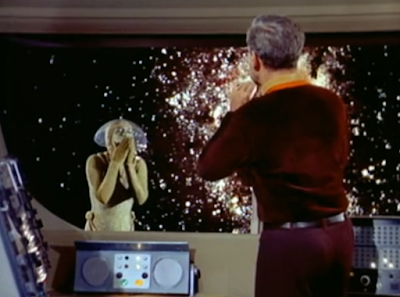 Dave remembers that we did display it -- I sort of think we didn't -- but to see our beloved Robot in such a sorry state was a real glimpse into the impermanence of show biz fame! 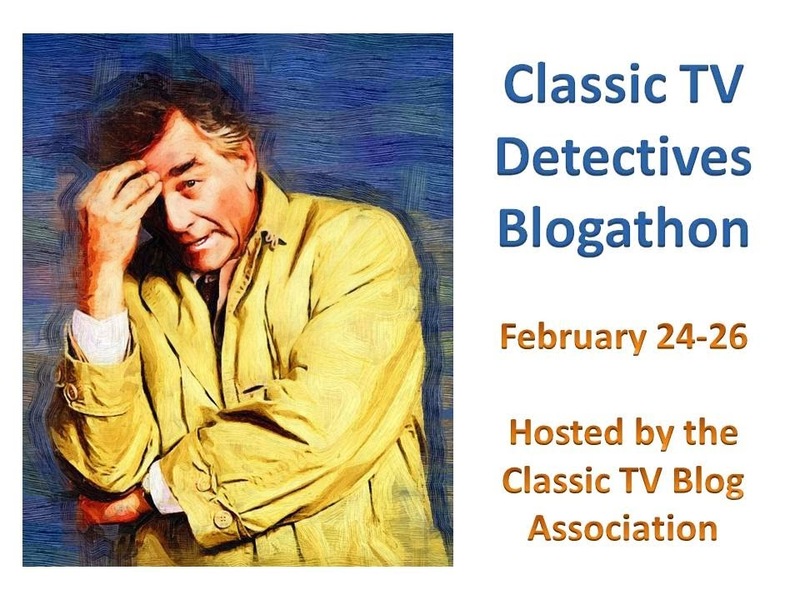 Again, please visit the Classic TV Blog Association to find out about all the other great posts taking place this week at some terrific sites. 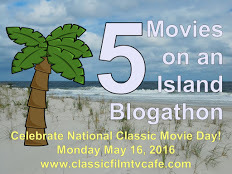 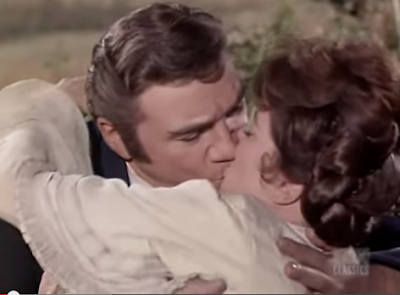 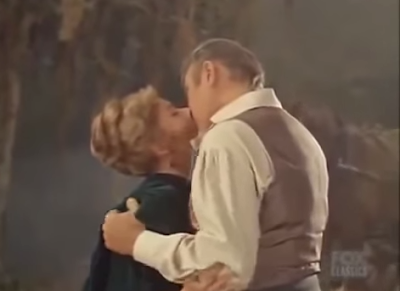 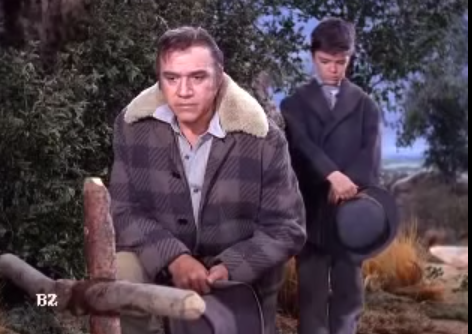 We will also be presenting a look at Bonanza this coming Thursday as part of the Blogathon! 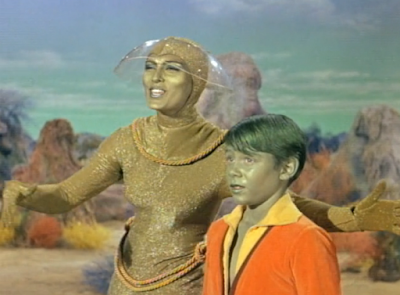 And don't forget to watch MeTV 24 Hours a day during The Summer of MeTV! 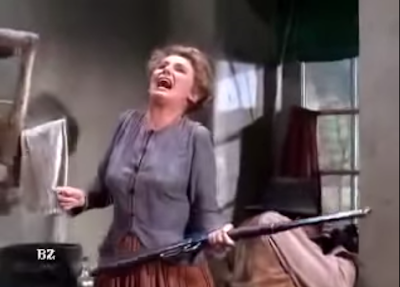 Jayne Meadows, 1919 - 2015: They Don't Make Them Like Her Anymore! 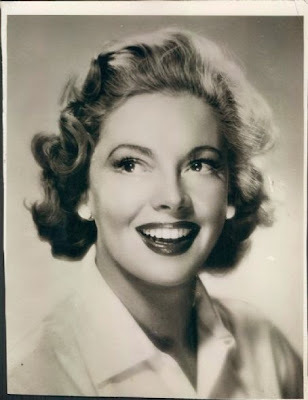 A little over two weeks ago the lovely and versatile actress Jayne Meadows passed away at the age of 95. 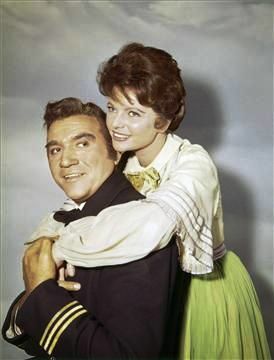 Jayne was part of that dwindling but oh-so-classy contingent of veteran performers who could do literally anything, appeared in all media from radio to screen to stage to television, and who embodied the "there's-no-business-like-show-business" spirit throughout their entire careers. 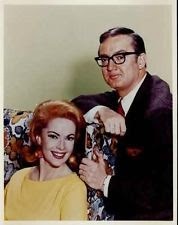 Active into her eighties, Jayne was a constant presence on TV for fifty years in her professional performing life but perhaps was best known for being the wife of the multi-talented Steve Allen. Allen was forever a mighty voice in TV comedy beginning with his historic status as one of the early kings of late-night TV in the 1950s and he continued to be a much sought-after writer and performer throughout his entire career. 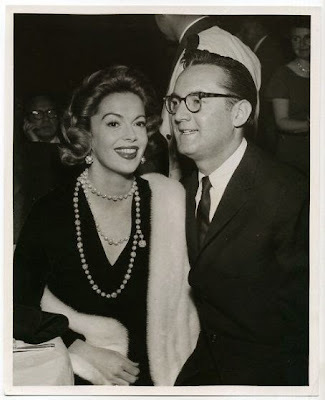 He and Jayne were famously and happily married from 1954 until his death in 2000. 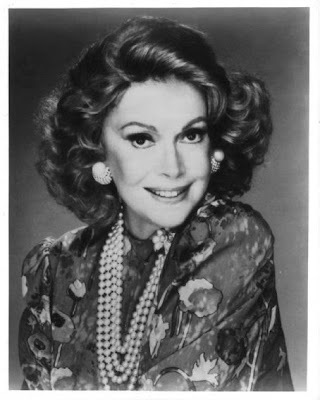 When Jayne Meadows passed away on April 26th we lost one of the good ones, one of the special ones, one of those ladies who've done it all. You should read some of the write-ups that followed her death to get a real idea of just how much she had done. The New York Times obituary is available by clicking here, The Los Angeles Times can be accessed by clicking here, show business paper Variety has a nice story here, The Hollywood Reporter also covered her passing here, The Huffington Post had a write-up here, Jayne Meadows also had an official website full of great information on her very interesting life and career; visit it by clicking here. 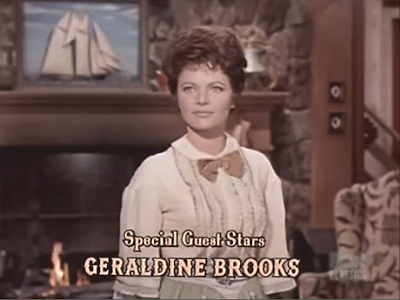 She also did a wonderful three hour interview with the Archive of American Television which you can watch by visiting here. There's no better way to salute a performer than to show them in action. We've got a selection of Jayne Meadows moments for you to enjoy. She was a fascinating personality, larger-than-life with a giddy flair that probably outshone her dramatic talents. 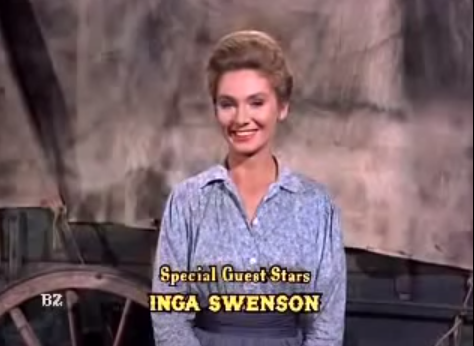 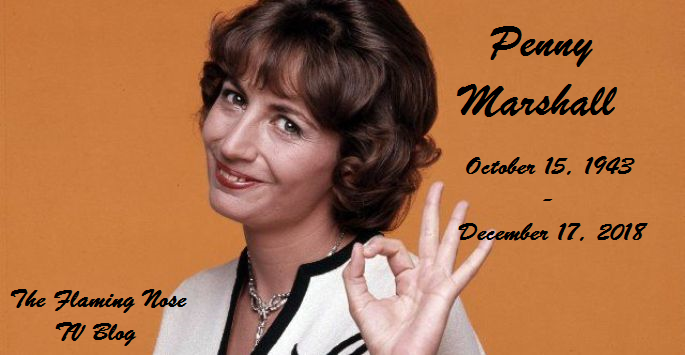 No matter -- she was a delight in everything and we are grateful for the entertaining moment that she gave us. 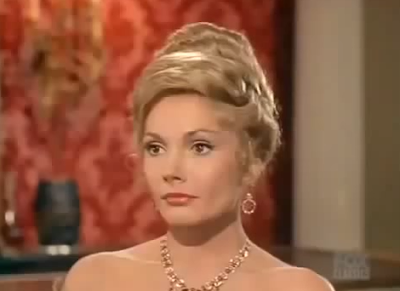 Jayne playing the Queen of Hearts in the elaborate 1985 Irwin Allen TV production of Alice in Wonderland, music and lyrics by Steve Allen. 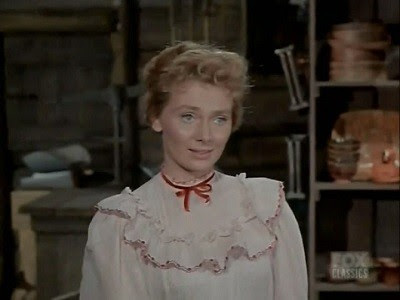 Jayne was a regular on the popular CBS medical drama Medical Center starring Chad Everett.